The idea of mashing up “Ocean’s Eleven” and any kind of “Star Wars” (“Empire Strikes Back” in this case) is enough to make me chuckle. The idea of “Ackbar’s Eleven” is funny enough but I let out a huge yelp it when they mentioned Frank Catton. This is probably the best 5 minutes of my day. At least before I finish this cup of coffee. I was getting in my car to drive home from Suncoast casino the other day when “Love Me Harder” by Ariana Grande and The Weeknd came on the radio. I drove home by the before the song was over. I never noticed songs traveling to and from Suncoast before. Here’s the song for reference to how quick that trip was. I listen mostly to rock music in some form when I’m not dorking out to cheesy pop jams or old school hip hop. The rock station here plays a lot of Metallica but one song stands out to me. I’ve probably gotten into my car at the beginning of “Master of Puppets” and exited about 15 times on my way to and from Red Rock Resort. Red Rock is a little farther drive than Suncoast. Here’s the song to compare. That’s all, I just have these drive time songs to and from casinos in my head. Sometimes I’ll pick which casino I visit based on the song playing when I turn on my car. This is just a dumb thing rattling around my head and wanted to share. My next casino visit will be somewhere in Downtown Vegas. That’s 2 or 3 songs away. Enjoy the jams. What Beer Is Right For You? There are a lot more types of beer available in Las Vegas than ever before. If you haven’t explored the different kinds of beer you may not know what’s right for you. 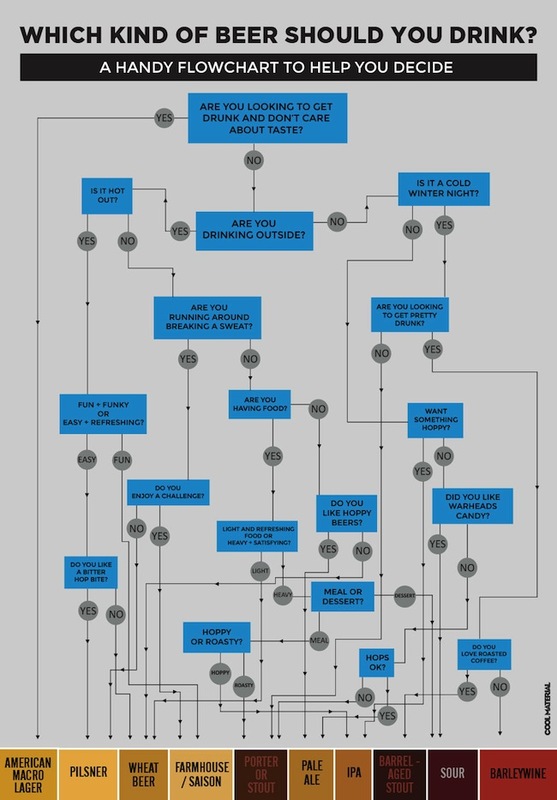 This chart can help you narrow your options. While this a cool infographic it might not be entirely accurate. It matched me with a barrel-aged stout this morning. I’m not much of a stout fan. Another note: If you’re a beer snob you’ll get a chuckle from answering yes to the first question. Earlier this year I was fascinated when I found out that the New York Mets wanted to have a casino as part of Citi Field. That’s two things I love in one place – baseball and casinos. That got me to thinking what other pro stadiums could use a casino. 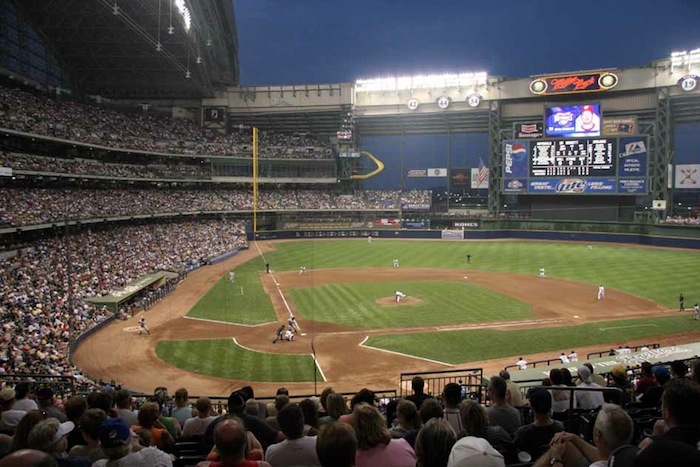 In February I called on baseball expert “Betting Dork” Gill Alexander to come up with 5 Major League Baseball stadiums that could use a casino and now I’m calling on Joe Fortenbaugh from National Football Post for the NFL version of that list. Thankfully he had a few minutes before the NFL draft to contribute his thoughts. In 2006, I attended four games at Ray Jay during the Bucs’ forgettable 4-12 campaign and can honestly say that I’ve never had a better time in the face of consistent defeat. Under the sun-drenched Florida sky amidst the laid-back party atmosphere, Buccaneers games are more like a cocktail party than a sporting event. 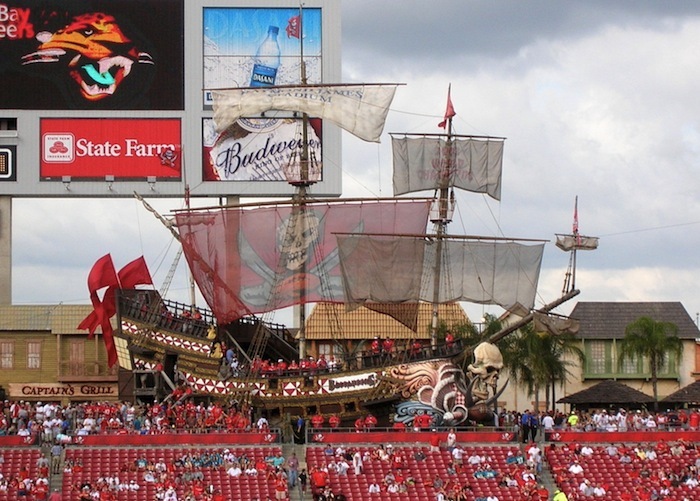 And when you really think about it, is there a better place for a casino in all of a professional football than the $3 million, 20,000 square foot pirate ship located in Raymond James’ north end zone? The damn thing screams “Treasure Island” and would be so much fun to play at that I wouldn’t bat an eye at the 6/5 blackjack payouts. If NFL venues were Las Vegas Strip properties, then Jerry Jones’ $1.2 billion ode to extravagance would no doubt be the Lone Star State equivalent of the Wynn. 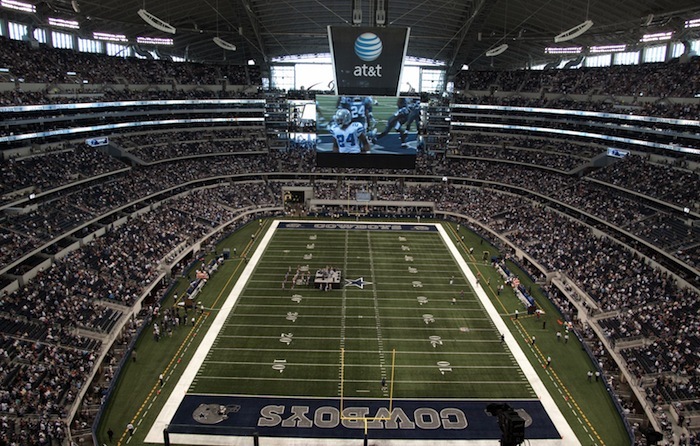 From the $40 million jumbotron to the onsite Victoria’s Secret, Jones has made it perfectly clear that he wants Cowboys Stadium to be regarded as the gold standard for modern sports arenas. 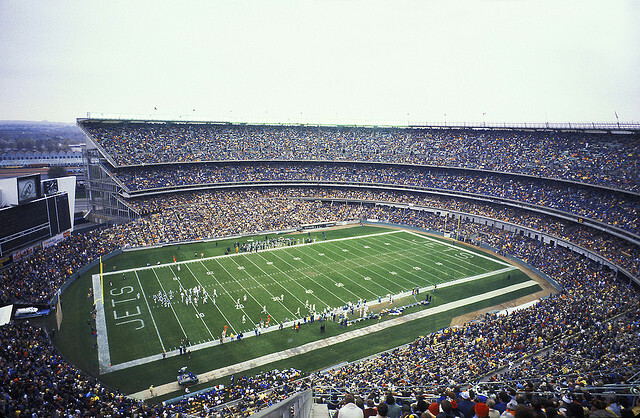 With 85,000 seats, Jones can afford to turn the six elevated platforms behind the end zones from standing room “Party Pass” sections into blackjack and dice games with an elevated view of the field. Just don’t expect to find any $5 tables. Tony Romo’s $108 million contract isn’t going to pay itself. Calling the Coliseum a dump would be an insult to waste disposal facilities all across America. 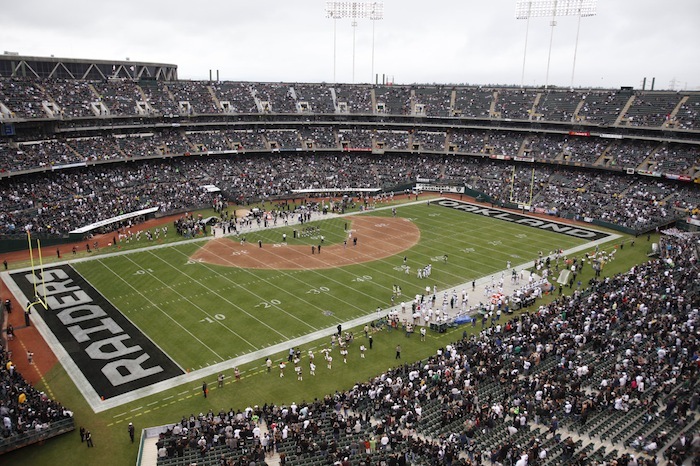 The Raiders haven’t posted a winning season since 2002 and have ranked dead last in attendance in three of the last four years. Between the fan bases’ lack of interest in showing up to witness yet another loss and the state of California’s never ending budget crisis, building an onsite casino makes too much sense for an inept state legislature more concerned with taxing their citizens into an early grave. Just go ahead and convert the entire upper deck into a pleasure pit of gambling decadence. It’s not like anybody is using those seats to watch the Raiders play football. There was absolutely no shot in hell that we were going to do an article on stadium-casinos and leave the most morally compromising, utterly decedent and insanely delicious city in the league off the list. The Big Easy: Where willpower takes a backseat and the right foot never lets off the gas. Where alcoholic beverages are served by the gallon, Johnny Law turns a blind eye and the human spirit is free to push the limits of debauchery. 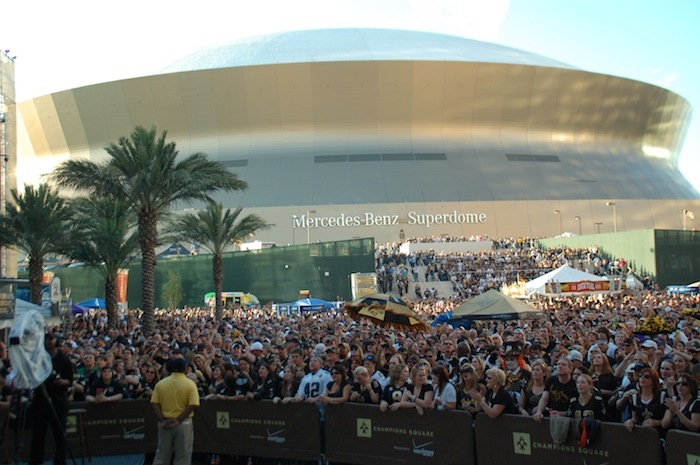 It’s this type of atmosphere that has aided the Saints in their production of an impressive 29-11 (.725) home record since 2008. The only problem with a Superdome casino is that you’d probably be forced to cut-off drink service for close to 73% of the gambling population. Try as you might, you’ll never be able to convince me that there’s a better tailgate in all of professional football than the one that takes place at Qualcomm on Sundays during the fall. The weather is so immaculate and the atmosphere so lively that as a Chargers season ticket holder in 2005, I was a lock to enter the stadium 30 minutes after kickoff because I didn’t want the party in the parking lot to end. The best way to rectify that problem would be to build a casino in the upper deck, where fans can gamble away the afternoon in 76-degree weather while watching the Powder Blues go about their business. 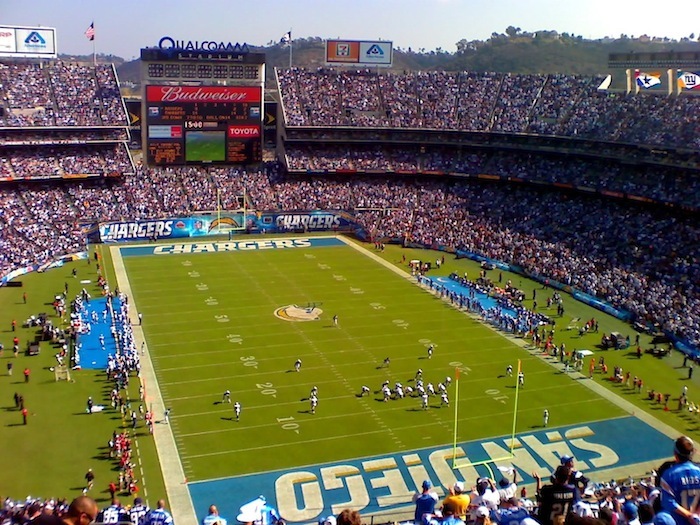 The Chargers would have a natural gaming partner in Viejas Casino, which is located just 29 miles from Qualcomm. I’m from New York City and I don’t have blood as thick as someone from Buffalo but I’m rarely cold. This morning I received a freeze warning on my iPad. This is Las Vegas and freeze warnings aren’t really normal. I worried that I may be getting weak when I went outside for the first time. I was cold. Then again, I was still in my sleepwear with no socks. When I left my house this morning in my hoodie and shorts I wasn’t cold. However, the locals around me were all wearing winter gear as if there was a snow storm looming. It reminded me of this scene from Seinfeld. It’s supposed to be in the 40’s if you plan to visit Vegas this weekend. It’s not a big deal if you’re casino hopping as long as it doesn’t get too windy. If you’ve never seen snow in Vegas, check out this pic from when I moved to Las Vegas two years ago. The roads were dry by lunch.